We are about building a supportive and caring community as we explore different career options in healthcare and public health arena. Through a wide variety of activities you will connect with your classmates, classes, campus, community and careers. Live and learn with others focused on improving the health of our community and nation. 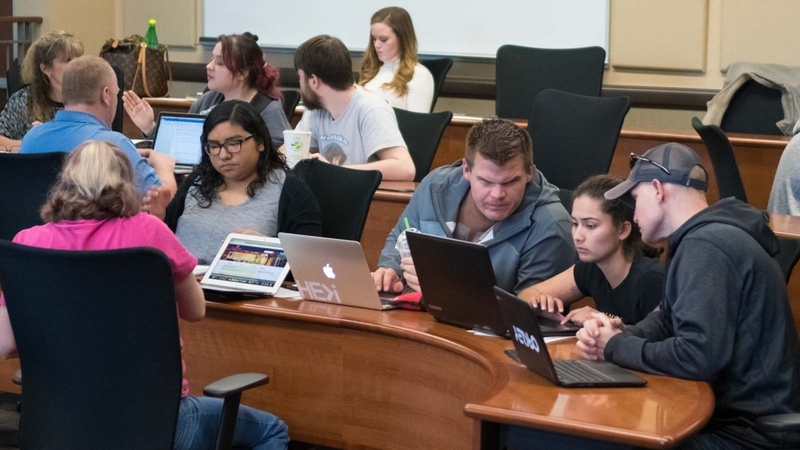 Come join the Health Professions LLC, make new friends, connect with people taking the same classes, investigate different health-related career opportunities, explore Boise and expand your network. 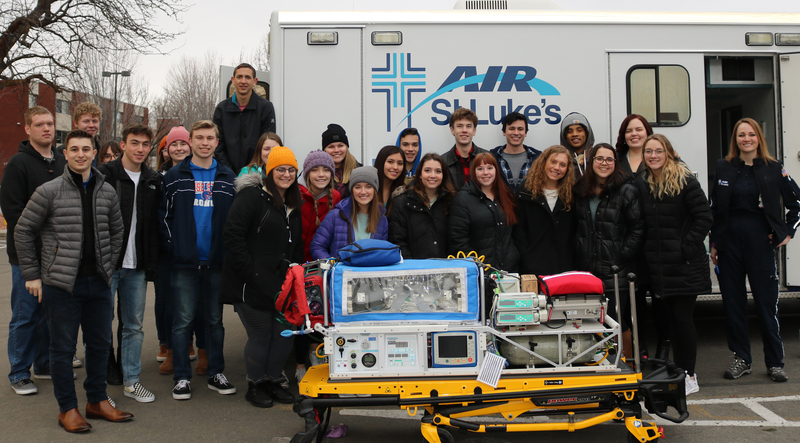 HPC students have the unique opportunity to step inside an Air St. Luke’s Maternal-Child Transport Ambulance, as pictured above. Click here for more information on this experience. Other traditional HPC community events include: Boise river float, cadaver lab tour at Idaho State University, corn maze, pumpkin carving, soup mug decorating, Soup Sundays, Friendsgiving, movie night, bike ride, and community service. Speakers from and tours of different health related majors, informational interview, community service & presentation, resume review, cadaver tour, research and present on different types of health care careers. Samantha Davis joins the Health Professions LLP from the Department of Respiratory Care. 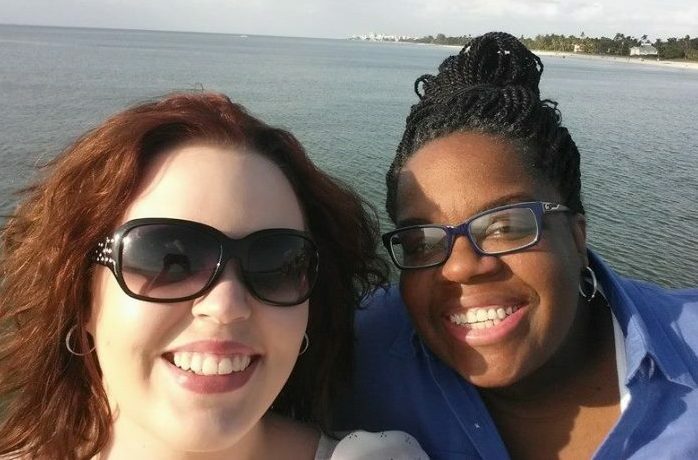 As a Respiratory Therapist, she specializes in neonatal and pediatric intensive care. Her academic interests involve the use simulation and gaming to improve health care delivery. She is joined by her wife, Gabrielle (spouse-in-residence) and their dog, Libby (dog-in-residence). Gabrielle is also a Respiratory Therapist, working as the COPD Educator and Tobacco Cessation Coordinator for a local hospital. Together, we will explore all that a career in health care can provide while connecting you to the local community and having fun along the way.